A promising March on many of Scotland’s rivers! It was a dry start to March, especially in the Scottish Highlands. Many rivers were relatively low for the time of year. However, as the month progressed there were some spells of heavy rain and this led to a number of lifts in water on many rivers in the area. The River Dee is one of the most famous and productive salmon rivers in Scotland. The Dee winds its way through beautiful Royal Deeside past the towns of Braemar, Aboyne and Banchory before entering the sea at Aberdeen. What makes Scotland a top destination for chasing spring salmon? November started off on a mild note and apart from the odd frosty morning, it stayed that way for most of the month. During the course of the month, there were a few decent lifts in water on some of the rivers that were still open, but this did little to improve the sport. Scotland, not just a world class salmon fishing destination! Could the icy blast be a catalyst for improved catches? Depth and salmon fly size can be key! Storm Callum has a bite! Scotland is much more than just a world-famous Salmon fishing destination! The magic of the mighty River Tay! How the weather in Africa can affect salmon fishing in Scotland! Patterns to tempt autumn silver! The Scottish salmon fishing hut! Thankfully it’s set to get much cooler! Cooler temperatures have led to an upturn in catches! Don’t be too rigid in your thinking! The beast from the east, a salmon anglers best friend? The Scottish salmon fishing season is now in full swing! Already some Scottish spring crackers caught in 2018! On the eve of the 2018 Scottish salmon fishing season! What makes salmon fishing in Scotland so special? Less than four weeks away! Cloud cover can make all the difference! If you book a salmon fishing holiday in Scotland, you will be hoping for the perfect weather and water conditions. As salmon anglers, we all know how important it is to have favourable weather when we are fishing. Often it can be the difference between success and failure. The right reel for you! One fly or two, are you willing to take the risk? Are you a serial fly changer? The big freeze hits Scotland! Over the past few days, temperatures have plummeted across Scotland. We have had a strong northerly air stream which has brought perishing cold winds down from the north pole. This has been accompanied by heavy snow showers with over twenty centimetres falling even to lower levels. 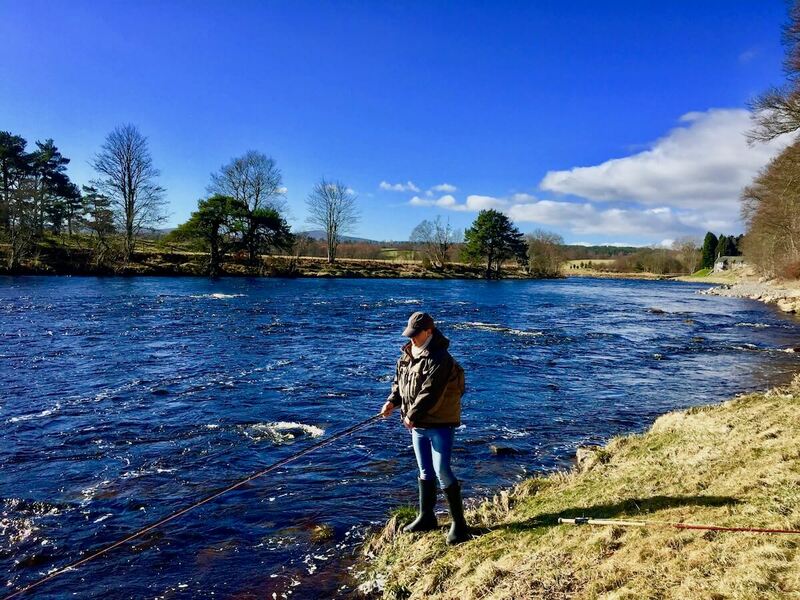 Will it be a productive spring season on the River Spey in 2018? Water temperature can be critical when it comes to salmon fishing in Scotland, especially during the early spring months. The temperature of the water can often dictate the tactics you employ when chasing silver. Many anglers that book a salmon fishing holiday in Scotland ask what the difference is between a ghillie and a fishing guide. Some people have the misconception that a ghillie is the same as a fishing guide but of course this is not the case. The Scottish salmon fishing season finally draws to a close on Thursday. Most rivers across the country have been closed for several weeks and by the end of the week, fishing activity on the Tweed, Nith and Urr will also cease. Making the most of your time! Why do we go salmon fishing? Salmon fishing in rising water! Playing that big Scottish salmon! Keep wading to a minimum! Keeping it simple for springers! Backing up, an effective technique in the Scottish Highlands! Don’t forget your bottles and Cones! Good times on the River Alness! Having confidence is the key ingredient! The final few days, on the mighty River Tay! Maximising your chances when salmon fishing in Scotland! Many anglers that salmon fish in Scotland get preoccupied with fly selection. 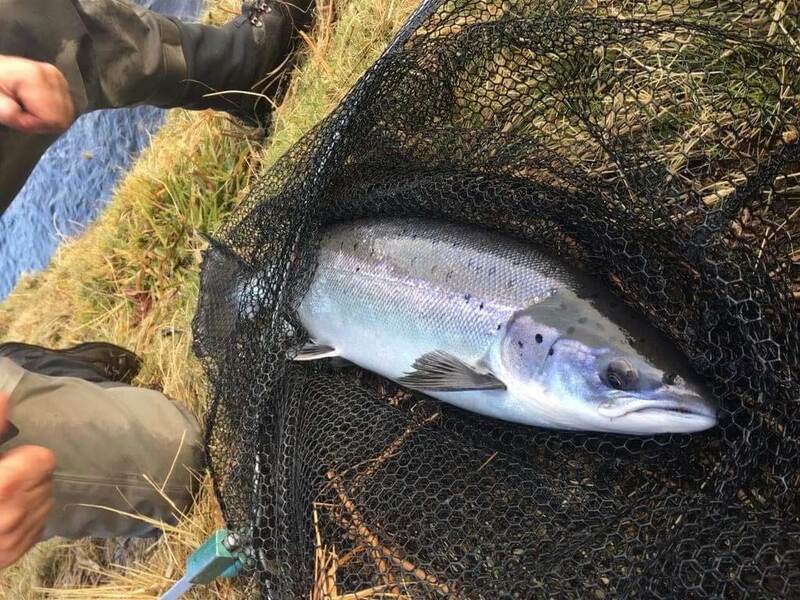 Of course, pattern can be important and often is, but there are also other parameters to consider when salmon fishing in Scotland, when it comes to fly fishing. Flies for the back end! Big water on the mighty River Tay! Big flies and sinking lines, the order of the day? What a difference some water makes! Catches on the River Tweed pick up! The single hander a mighty effective weapon! When the temperature drops think big! Coming towards the end of a good summer season! You can’t beat catching a Scottish sea liced salmon! Landing late season silver on a backdrop of autumn gold! Good water on the mighty Tay! Heavy rain this week could be the catalyst for some good sport! Chasing Scottish Spring Salmon in 2018! Hooking a salmon, an exact science? A productive August would put the icing on the Scottish salmon fishing cake! The Scottish Highlands, a salmon fishing haven! Finally, Scotland's rivers have water and prospects for the summer are looking good! Salmon fishing in Scotland, just the tip of the iceberg! Banish away those Easter blues by hooking into some spring Scottish silver! The River Dee makes a promising start! The River Dee is one of Scotland’s “Big 4” salmon rivers and a fly fisher’s paradise. The crystal clear, fast flowing waters and the mouth-watering pools make it an ideal river for the fly fishing connoisseur. Catching a thirty pounder need not break the bank! 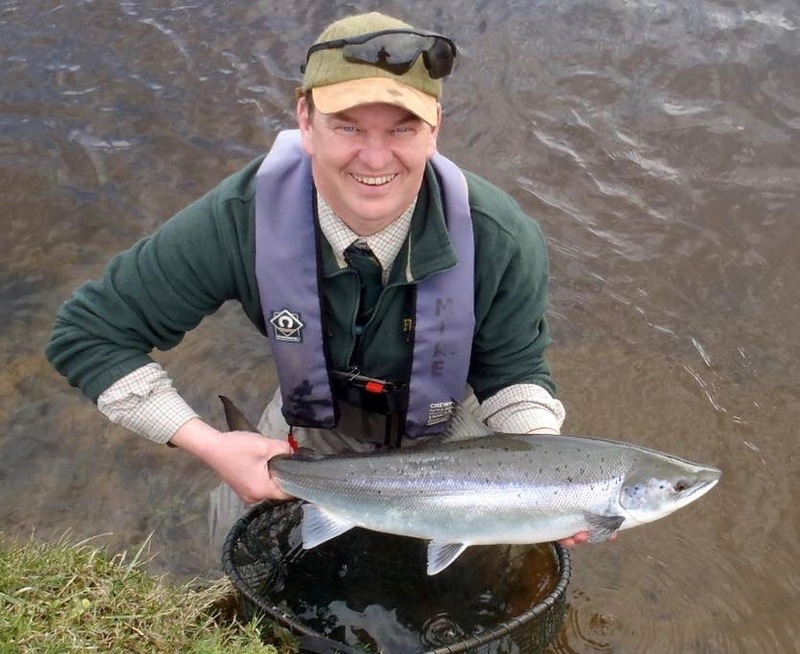 Recently a thirty-pound spring salmon was caught from the Lees Beat on the lower River Tweed. For most anglers, catching a spring salmon is the ultimate achievement and a fish of thirty pounds even more so. To combine these two incredible feats together has to be a tremendous feeling. The 2017 Scottish salmon fishing season is now in full swing!